Ring Rath Sone Fort open to the public to visit any day of week. Dated to the Bronze Age circa 800BC it was excavated in 1969 and a fair amount of artefact's were uncovered making this historically an extremely important site. Evidence of Bronze Age smelting and dwellings were also discovered. 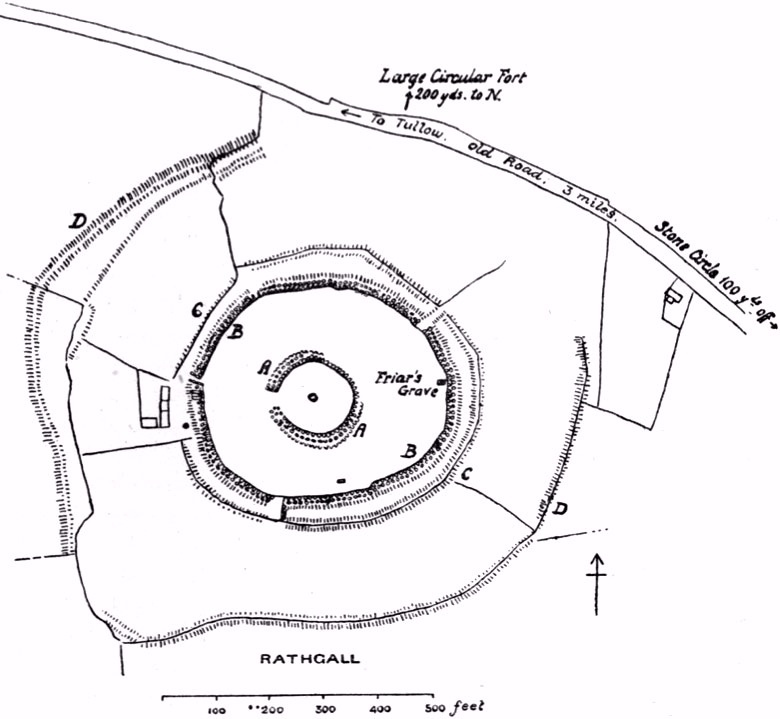 The innermost ring is thought to have been added in medieval times when the fort was still in use. 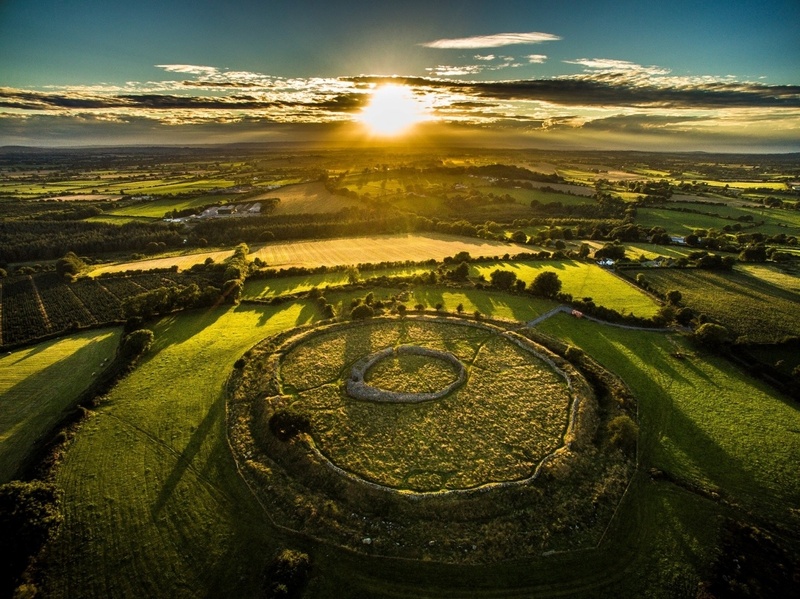 It is believed to have been unoccupied for up to a thousand years after it's initial use and it is debated that it might be a possible site of the seat of the Kings of Leinster or indeed a burial site for same. The Church of Ireland Church in Tullow is known as St. Columba's. It is situated in Church Street. Three church buildings have stood on the same site. The original building dated back to the 1530's. It was knocked down and replaced by a new building in 1737. 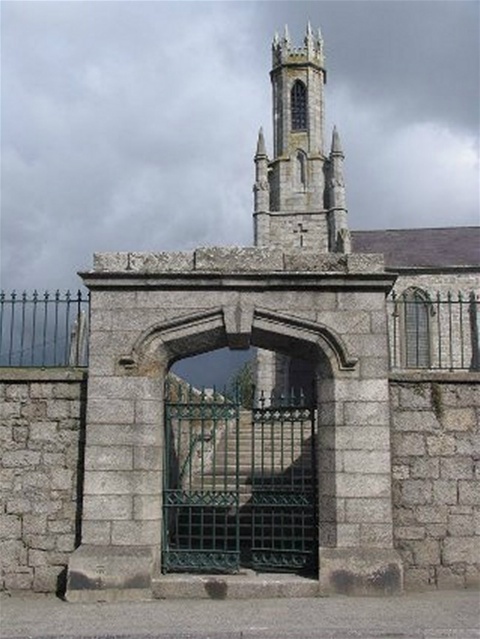 The existing St. Columba's was erected in the years 1830-1831. It cost £1,669 at the time. A vestry was added in 1861. Other renovations were carried out in 1893. A monument was erected in 1745 to the memory of General Clement Neill who carried colours for William of Orange at the Battle of the Boyne. General Neill's Mother was a sister of Sir Charles Wolseley whose descendants owned Mount Wolseley. The Wolseley family erected a fine stained glass window in St. Columba's in memory of Sir John Richard Wolseley (d. 1874) and his wife Frances, who died in 1707.